How does a “don’t waste” mentality fit in with feeding hungry people? In Gary Oppenheimer’s mind, very closely. 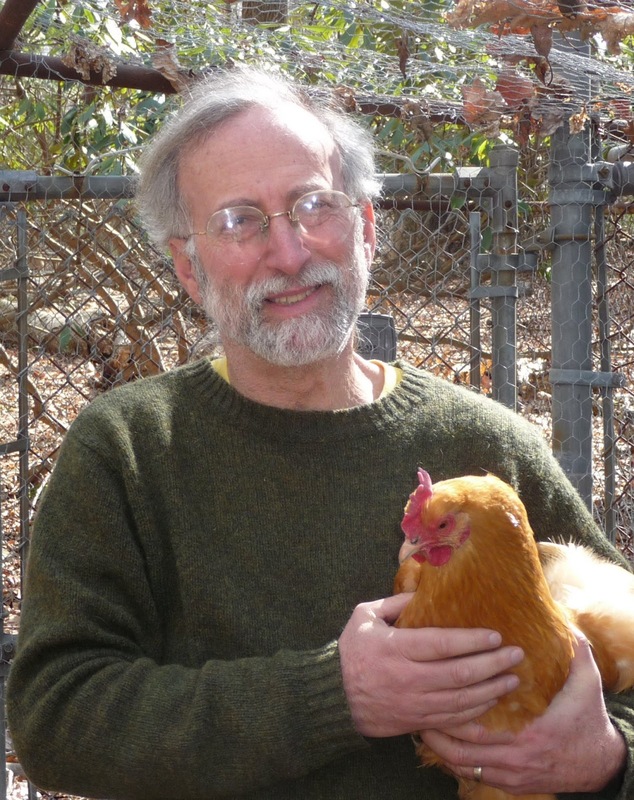 We visited Gary at his home in far-northern New Jersey, where this master gardener and conservationist grows much of his own food, raises chickens for eggs, and recycles everything he can. In 2008, Gary became concerned about the amount of produce from people’s gardens (including his own) that goes to waste when a gardener becomes overwhelmed by abundance. Usually, this produce either rots on the plants, gets thrown into landfills, or perhaps becomes compost. What a waste of perfectly good food! Gary remembers seeing an article in the NY Times by Andrew Martin with a photo by Bill Marsh, highlighting that the total food wasted in this country is equivalent to 122 lbs/month for a family of four. That’s 1 lb/person/day! Gary conceived the idea of helping gardeners nationwide find a useful place to take excess garden produce. 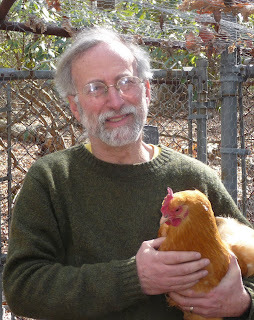 In March of 2009, he registered the domain name AmpleHarvest.org, and then he had to figure out what to do with it! Gary knew that food pantries are in the business of providing food to people who need it. The problem is connecting those with excess to those who really need good, nutritious, fresh produce. Trying to donate his own excess produce to those who needed it had taught him, though, that it’s not so easy to find nearby food pantries to donate to. Most don’t have websites. Most aren’t listed in the phone book. In his case, the closest one he could find listed on the web was 25 miles away, even though he knew there were several in his small town. So Gary set out to create a website to connect gardeners to food pantries. It took a couple months for him to write the text, and for two other people to develop the design and write the program. The site was launched on May 18, 2009. The concept is simple: Individual food pantries from anywhere in the US enter their contact information onto the site, and local gardeners can then go to the website to find a local food pantry that will accept their excess produce and distribute it to those in need. As of our interview on March 9, 2012, AmpleHarvest.org had 4,897 registered sites, mostly pantries (about 1/7 of the total pantries in the US). The number of pantries registered with AmpleHarvest.org keeps increasing, with more added each day. Organizations like soup kitchens and shelters are also welcome to sign up if they can use the donated food effectively, and if they give away the food or meals prepared with it for free. Sign-up is straightforward. Besides information on where the pantry is located and who to contact, there are fields to enter when donations can be made, and any additional information the pantry wants to enter. For AmpleHarvest.org to be successful, pantries that can use fresh produce have to sign up and gardeners with excess produce have to use the website to find appropriate pantries to receive it. Gary is working hard to promote AmpleHarvest.org. For example, see his TEDx talk. 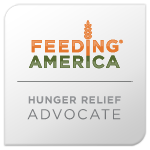 Organizations such as Feeding America, the White House, and the EPA are suggesting to pantries that they sign up on the website. The USDA is helping spread the word through the Master Gardener program, as is the National Gardening Association. The more gardeners that participate, the more food pantries will see that it’s effective to add their food pantry to the list. You can help, too. Is your local pantry listed? Go to AmpleHarvest.org to find out! If not, ask them to sign up. 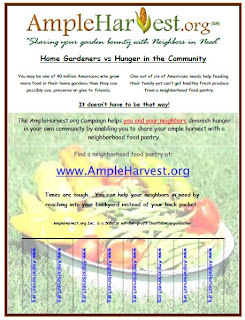 Also, tell gardeners you know to use AmpleHarvest.org to find pantries that could use their extra produce. Here’s a flier you could post in near-by garden centers. Some people ask if their produce is good enough to give to a food pantry. Gary’s criterion? If you’d feed it to your family, it’s fine to give to a food pantry. How successful has AmpleHarvest.org been so far? Through surveys of food pantries registered on its site, AmpleHarvest.org made a very rough estimate that in 2010, about 6 million pounds of fresh produce were donated directly to food pantries. In 2011, this increased to about 21 million pounds. It turns out that AmpleHarvest.org is also a resource for non-gardeners. Gary has heard that some small corner grocery stores have used it to find a source for their ready-to-expire products, and a company that insures trucks hauling groceries has used it to dispose of the undamaged product from a truck that’s had an accident. (Otherwise, the food from trucks in accidents would be sent to a landfill, even if undamaged.) The company gets a tax write-off and doesn’t have to pay for the landfill costs, and the pantry gets the food. Create AmpleMusic.org, offering songs inspired by the plight of hungry Americans. These songs were composed and performed by local student musicians. The songs can be purchased, and the proceeds from selling this music will help support AmpleHarvest.org. Include on the site a “produce-pedia” which will give basic, one-page descriptions of different types of produce, including any safety information (like don’t eat rhubarb leaves). It will have different entries for products that might look similar, such as winter squash and spaghetti squash, cucumbers and zucchini, tree tomatoes (actually related to apples) and cherry tomatoes. This way, gardeners can print out a page describing the produce they’re donating so the pantry clients know what they’re getting. Start a GleaningHarvest.org website similar to the AmpleHarvest.org for gleaning organizations to connect to farmers who have product to glean. AmpleHarvest.org is a national campaign to get excess food to people in need, saving good food from being thrown into landfills, and increasing the healthy food options at local food pantries.